The US telecoms regulator has shared its plans to repeal ‘net neutrality’ regulations implemented by the previous regime ahead of a vote on 14 December. 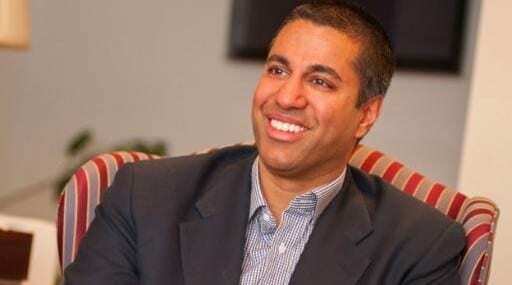 By doing so FCC Chairman Ajit Pai is lighting the touch-paper on an explosion of partisan hysteria in the US, with the move either being a welcome restriction on the power of the state or sabotaging the internet, depending on who you speak to. Silicon Valley and much of the media in the US are against the move, which is given even more spice by the fact that the hand of polarising US President Trump is thought to be directly involved. “For almost twenty years, the Internet thrived under the light-touch regulatory approach established by President Clinton and a Republican Congress,” said Pai. “This bipartisan framework led the private sector to invest $1.5 trillion building communications networks throughout the United States. And it gave us an Internet economy that became the envy of the world. Pai’s position seems to be that the internet does a perfectly good job of policing itself without the measures imposed in 2015. To ensure this remains the case he will insist CSPs reveal what they’re up to regarding service delivery levels. The dig about transparency is a cute one and is consistent with objections he was making as the time. Perhaps symbolically he has written an op-ed on the matter, but published it behind the WSJ paywall. The Washington Post seemed to typify the dissenting position with a piece entitled The FCC has unveiled its plan to repeal its net neutrality rules and stating that it ‘would give Internet providers broad powers to determine what websites and online services their customers can see and use.’ Pretty much all of the tech press is positioning this as a move to ‘kill’ or ‘wipe out’ net neutrality, or even to ruin the internet. Roslyn Layton, VP at Strand Consult, is a close follower of this matter and thinks the Washington Post is barking up the wrong tree. “Actually the move would give consumers control,” said Layton. “The FCC used its 2015 Open Internet Order as a form of rate regulation and price controls, making end users bear the full cost of broadband while the largest content providers enjoyed a free ride. Removing the rule will allow the emergence of flexible pricing, so that consumers have choice in how they enjoy content for free, whether for free, sponsored by providers, or paid outright. Amid all this noise and growing hysteria it’s hard to know who, if anyone, is right. Pai’s move seems to be sympathetic to CSPs, and why shouldn’t they be allowed to do what they want with their networks. On the flip side, as we covered previously, for many the internet is viewed as a force for public good and thus should be elevated above grubby commercial interests. As the vote in three weeks is likely to go in Pai’s favour we won’t have to wait long to find out. But having said that, as is usually the case the reality will fall somewhere in the middle of the extreme positions and the world will somehow keep spinning.